It’s not always easy to spot the signs, with so much candy on hand and dogs’ tendency to eat the evidence (i.e., the wrappers). To a pet owner, chocolate toxicity looks pretty similar to any trick-or-treater’s sugar high—they’ll be hyperactive, said Fletcher. Other symptoms include panting, pacing and dilated pupils. The chemicals in chocolate can also trigger vomiting and diarrhea, as well as less-observable symptoms like high blood pressure and irregular heartbeat. “Those can be life-threatening,” said Fletcher. If there’s good news, it’s that rising bills for chocolate toxicity treatments have largely stemmed from better quality care, further improving Fido’s chances of surviving his encounter with the Halloween candy bowl, Benson said. There are more effective drugs to aid vomiting pets, and more sophisticated tests to help determine the best course of treatment. But avoiding an expensive vet bill is not hard: Just keep treats in a secure container and out of reach of curious pets. Feral cats, unlike strays, have been born and raised in the wild or have been abandoned and must revert back to their primitive ways in order to survive. Most of these cats, fearful of humans and too skittish to be handled, often live in groups and take refuge wherever there is available food and shelter. Because of this, they are unfortunately subject to harsh weather conditions, starvation, or diseases and sometimes even eradicated by humans in attempts to deplete the feral cat population. In honor of National Feral Cat day on October 16, here is what you can do to help these undomesticated cats. You will be able to tell if you have come in contact with a feral cat rather than a stray by their standoffish and notably quiet demeanor. They will most likely keep their distance from you and scamper off when approached. However, this shouldn’t deter you from trying to help. Feral cats have a great chance of survival if they live in a group, or colony, maintained by a dedicated caretaker. This means providing regular feeding and proper shelter, as well as spay/neuter services. A popular and effective way to do this is the Trap-Neuter-Return method, or TNR. This humane method, helping to stabilize, and over time, reduce the population of feral cats, traps the cats to have them spayed or neutered and vaccinated (against rabies), and then returns them to their colony. “At the time of the spay or neuter, the veterinarian surgically removes the tip of one ear (ear-tipping) as a safe and effective means of marking cats, thus sparing them from unnecessary trappings,” said Dr. Carly Duff, veterinary resident at the Texas A&M College of Veterinary Medicine & Biomedical Sciences. By stabilizing the population, cats will be exposed to fewer risks of disease and will live healthier lives, with more space and food to themselves. You may call your local animal shelter for help in trapping a feral cat for TNR. When they do this, you shouldn’t feed the cats for a little over a day, as they must be hungry to enter the trap, which is usually baited with tuna, sardines, salmon, or other luxurious foods that feral cats aren’t accustomed to eating. After they have been vaccinated and spayed or neutered, they are then returned to their colony. The Aggie Feral Cat Alliance of Texas, or AFCAT, is a program here at Texas A&M University whose main goal is to provide care and long-term management of feral cats on campus. Comprised of students, staff, and faculty from the Texas A&M campus, they also provide educational information on the costs and commitment of responsible pet ownership to help decrease the source of feral cats. If you are interested in joining or want to learn more about them, you can visit their website at http://vetmed.tamu.edu/afcat/. Remember that although these cats are wild and often untamable, they still need your help to survive. With humane methods such as TNR and the involvement of dedicated caretakers, you can decrease their risk of disease and starvation by helping to stabilize and eventually reduce the population of feral cats. A dog is vaccinated at the University of Illinois College of Veterinary Medicine. Vaccines are important for the health of people and pets alike. After taking into account your pet’s lifestyle (indoor, outdoor or both), exposure to other animals, geography and other factors, your veterinarian will recommend what vaccines should be considered core vaccines for your pet based on risk of exposure, severity of disease and the potential for diseases to be transmitted from animals to people. “At the University of Illinois Veterinary Teaching Hospital, we recommend all dogs receive vaccinations to protect against rabies, distemper, parvovirus, and leptospirosis,” Brummet said. Rabies is a potentially fatal virus that can be spread by the bite of infected wildlife (skunk, bat, raccoon and fox) or domestic cats or dogs through saliva. This virus targets neurons, travelling the central nervous system to reach the brain. The rabies vaccine is required by law in Illinois. An unvaccinated pet that bites a person may be confined to isolation or even euthanized. Distemper is another virus that affects both dogs and cats. In cats, the virus is commonly referred to as feline panleukopenia virus. Signs of distemper in dogs can include coughing, sneezing and thick mucus discharge from the nose and eyes. A cat infected with distemper could present signs of depression, anorexia, vomiting and fever. This viral disease is highly contagious, in both cats and dogs, and can be fatal. Parvovirus is typically seen in young dogs (6 weeks to 6 months of age) that are unvaccinated. This virus targets the rapidly dividing cells in the gastrointestinal tract and can also affect the animal’s white blood cells. Destruction of the tissue lining the gastrointestinal tract leads to the animal having profuse diarrhea due to malabsorption. Leptospirosis is a bacterial disease that is mainly seen in animals but can be transmitted to people. Leptospirosis is the most common zoonotic disease in the world. It is transmitted by water contaminated with urine that contains the bacteria. A common presentation for leptospirosis is damage to the kidneys, where the bacteria are then shed in the urine. “Some dogs should also be vaccinated for Bordetella and possibly for Lyme disease, depending on the dog’s lifestyle,” Brummet said. Bordetella, commonly referred to as kennel cough, is a bacterium that colonizes the upper respiratory tracts of dogs. Dogs that spend time in boarding facilities should be vaccinated. Lyme is a bacterial disease that can affect dogs, cats and people. It is commonly transmitted by the bite of the deer tick. Dogs that frequent areas with a high numbers of ticks, such as heavily wooded areas and tall grasses, are at higher risk and therefore should be vaccinated against Lyme. “We recommend all cats be vaccinated for rabies and distemper, and some cats should be vaccinated for feline leukemia depending on their risk of exposure,” Brummet said. Feline leukemia virus (FeLV) is a retrovirus, which refers to the way the virus is replicated in the body. FeLV is a persistent infection, for the life of the animal, and infects white blood cells. FeLV is one of the most infectious diseases in the cat population and is shed in the saliva, urine and feces. This virus can also be acquired by kittens from the mother before birth or through the mother’s milk. Most exposures occur when kittens are 6 to 8 weeks old, since the maternal antibodies are waning at this point. Although there is a potential for a reaction with any vaccine, these are rare. 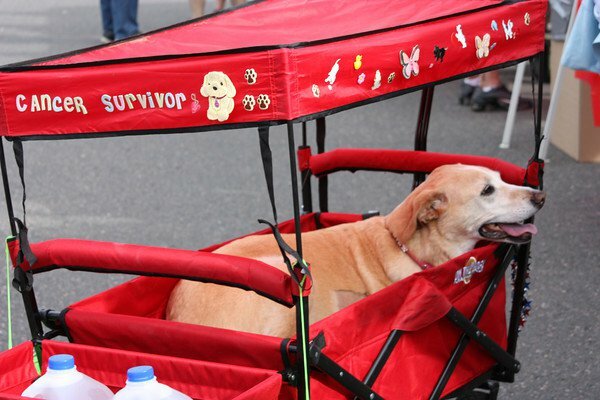 Caring pet owners do everything possible to keep pets out of harm’s way. However, with more wooded and natural areas being developed into neighborhoods and businesses, wild animals have fewer places to reside. Birds of prey, such as hawks and eagles, can pose a serious threat to cats and other small animals, and depending on where you live, coyotes and mountain lions may also be a danger. Since habitat is shared with wild animals, learning how to prevent an attack can make all the difference. Depending on the size of your pet and the area in which you live, keeping your pet in the backyard overnight may not be safe. If pets are accustomed to being outdoors and are able to defend themselves, such as a larger dog breed, backyard housing can be suitable. However, keeping smaller animals in the backyard unsupervised is not recommended. A good rule of thumb is to appropriately fence in a backyard or outdoor pet area to keep out unwanted visitors. Depending on the region, this may include fencing with barbed wire or roll-bars on the top to make it harder for coyotes and other large predators to get over. If you come face-to-face with a predator while on a walk or even in your own backyard, stay calm and never turn your back to run away. If you have a small dog or cat with you, pick them up and slowly back away. Grab the leash or collar of a larger dog. Carrying a walking stick is a good weapon to help fend off an attack, as are sticks or rocks to throw at a predator if they look like they’re going to attack. The best tip in protecting pets from predators is to let them outside only when you are with them, especially at night, and to keep pet food and water either inside or empty. All wildlife should be respected for their role in the environment, and while healthy habitats need predators, you don’t want your beloved pets to be the prey. Does Your Pet Eat Better Than You Do? Megan Lokay, a 25-year old accountant, has food preferences of that a typical millennial in her generation. She reads labels to make sure that the food she is buying is healthy and eats only organic fruits and vegetables. Whats good for Megan is good for Teddy Lokay, her 14-year old Lakeland Terrier who eats only homemade meals of fresh, cooked lean ground beef or pork and vegetables with a side of whole grain oatmeal. Salmon-flavored treats are part of his daily diet. 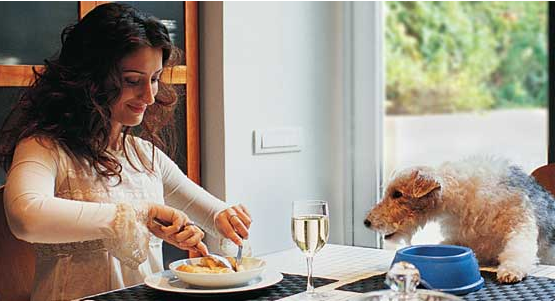 Since the majority of pet owners consider their four-legged pets as members of their family, its not surprising that a Mintel report showed almost 80 percent of the adults surveyed believe that the quality of the giblets in their dog and cat dinner bowls on the floor is as important to them as the quality of food being served on their dining room table. This attitude is just hunky dory with the pet food industry, which wants to cater to this upscale trend. According to the Institute of Food Technologist (IFT), the sale of specialty foods and beverages for people and their pets has boomed to $70 billion in 2013. While gourmet chocolate, specialty oils, and cheese were the top specialty foods on the list for human consumption, foods that looked and tasted like human foods and were marketed to improve the pets health were the best-selling new pet foods last year according to IFT. From a nutrition standpoint, are these specialty pet foods really better for the health of your pet? Not necessarily, claims Cailin Heinze, VMD, Assistant Professor of Nutrition at Cummings School of Veterinary Medicine at Tufts University. 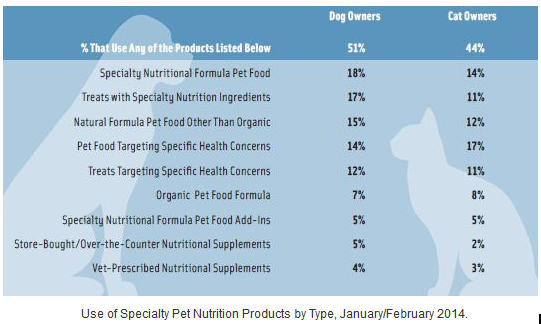 Pet owners are being marketed to buy these specialty foods that contain buzz words such as natural, organic, antioxidant-rich, or grain-free, yet there is no evidence that these expensive pet foods lead to better health, claims Heinze. Rather, it is more important that the food be made by a reputable company that follows the nutrition guidelines for the pets appropriate life stage as determined by the Association of American Feed Control Officials (AAFCO) and that the pet seems to be doing well on it. Rather than look to the Internet or advertisements for the answers to your pets nutrition concerns, Heinze recommends that you talk to your veterinarian. If you have more-in-depth questions or if your pet has complicated health problems, turn to a Board Certified Veterinary Nutritionist for your nutrition advice. These specialists are veterinarians who have continued their training in nutrition with a residency and have passed a board certification examination administrated by the American College of Veterinary Nutrition. Teddy, the Lakeland Terrier, was assessed by his veterinarian to be allergic to chicken and in the need of more nutrient-rich vegetables and treats in his diet. These dietary changes have made a noticeable improvement in his health. 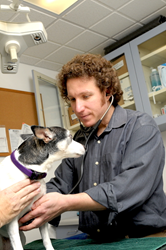 Click here to find Board Certified Veterinary Nutritionist in your area. Photo and chart courtesy of IFT. According to Paul, the cat flea is the type of flea that is commonly seen on both cats and dogs, while the dog flea is rare. Cat flea eggs hatch into larvae within two to five days and enter the pupa — or cocoon — stage the following week. They then develop into adult fleas within one to two weeks, if an appropriate host is available. In the Midwest, the cycle from egg to adult can happen in about a month. When the flea is in the pupal stage of development, the exterior of the pupa is very sticky. This sticky coating acts as protection for the flea, as the pupae are resistant to insecticides, and are therefore hard to kill. Fleas in the pupal stage are what overwinter in peoples’ homes. What triggers adult fleas to emerge from these pupae? Paul explains that the pupae wait to detect heat, carbon dioxide and vibrations — all signals that a warm-blooded host is nearby — before emerging. Since pupae need movement to hatch, vacuuming is a good way to inadvertently hatch them. The vacuum bag should be changed or canister emptied to keep the fleas from spreading around the house by means of the vacuum. Pets can get fleas from the outdoors, as the cat flea can be found on various species of wildlife, including raccoons and opossums. If you suspect your pet may have fleas, it is important to bring the animal to see a veterinarian to receive treatment and relief from itching. The veterinarian will examine the pet for live fleas, which may be seen jumping on the pet or more likely for what is called “flea dirt” (flea poop) on the pet. If a pet has evidence of fleas, the veterinarian can offer various forms of treatment. Paul recommends treating pets preventatively for fleas year round, since fleas are able to survive the winter in peoples’ homes. An archive of pet columns from the UI College of Veterinary Medicine is available atvetmed.illinois.edu/petcolumns/. Requests for reprints of this article may be directed to Chris Beuoy, beuoy@illinois.edu.